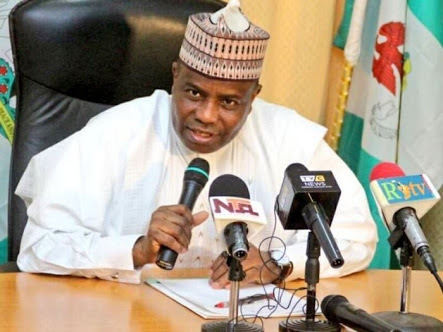 Sokoto State Governor, Aminu Tambuwal has declared that he is able and capable to compete with President Buhari in the coming 2019 Presidential election. “If I wanted to and if the Presidency is what (why) Ahmed Tinubu thinks I defected, I could contest with President Buhari under the APC. I have what it takes to have contested with Mr. President. Recall that Tinubu had alleged that Tambuwal wants to become president: “Governor Tambuwal’s exit can be distilled to one cause. He covets the Presidency. However, he had not the stomach to challenge President Buhari in a primary. "Tambuwal felt further insulted that he would be compelled to face a direct primary just to retain the governorship nomination,” Tinubu said in a statement titled, “They go away because we go the right way."